Classical chic. 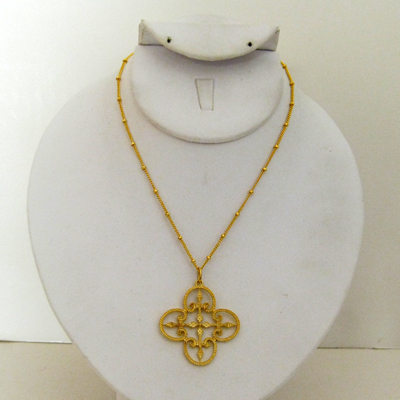 Susan Shaw's pendant features a stylish filigree pattern, making it an enticing option. Crafted from 18k gold over sturdy metal. Approximate length: 18 inches. Approximate drop: 1-3/8 inches. Approximate diameter: 1 1/2 inches.